Great news! My camera is all fixed! Yay! Can't wait to start using it again! I have a simple Sunday card for you today. I made this little number for Stuart's Pap. 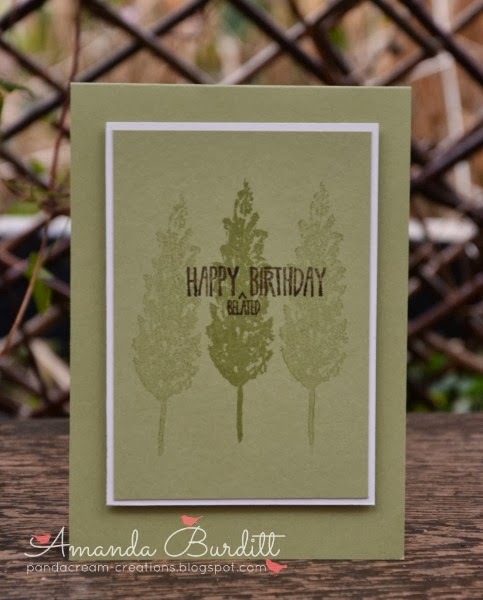 I thought seeing as its getting into spring now around here - there are a few trees budding and showing leaves now that I could do a bit of a spring time leaf card. I know the Gently Falling set is designed to be a Autumnal set but there's no reason it can't be used for Spring and Summer too! 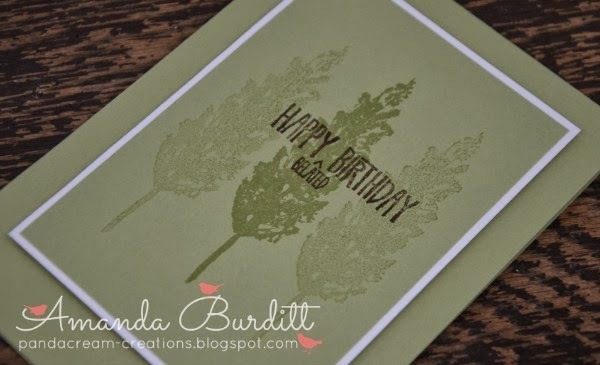 Yep this one is dead simple - I just stamped off the leaf on either side of the centre leaf for a lighter tone on tone effect and stamped a sentiment in the centre. I love using white/vanilla as a matt instead of the usual coloured matt but haven't done it for a while so was glad to give that one a go. The white really stands put amongst all that green and just pops. Have a great rest of your weekend! Catch you again tomorrow!